Two members of the Microsoft Access product team come over from Redmond to attend the conference and keep us up-to-date with a short presentation about the latest news and plans for the product. They will be there to discuss with all attendees, answer questions, hear feature requests and pain points and learn about your Access work, applications and initiatives. Michal is a program manager in Microsoft and the product lead and champion for Access since 2014. Prior to Microsoft, Michal spent 10 years at Intel’s mobile division, mainly focused on SQL based solutions for microprocessors validation processes. She has served as a press non-commissioned officer in the IDF, and holds a B.Sc. in Information Systems engineering from the Technion institute of Technology in Israel. She feels honored to be part of the Access team, with the opportunity to make an impact on the product and millions of engaged customers all over the world. Mike is a software engineer on the Access team. He has tested or written code in almost every part of the product, from the UI shell all the way down to the data engine and Access’ ODBC connectivity components. His most recent work includes the UI refresh to Access document tabs, the addition of support for the Japanese calendar’s new era, and the new chart control that was added to Access last year. Imagine the frequent situation where a company has an Access application with a SQL Server backend on premises and now there's a need to extend its use to field workers on iOS, Android, and Windows devices. How can we handle this with modern Microsoft tools? He is currently working for Microsoft as a Senior Technical Support Engineer for PowerApps and Flow, helping companies integrate PowerApps and Flow in their business processes. You removed it a hundred times, now you will love it! • You can even make the controls in a continous form resizeable! Originally an engineer with a degree in Applied Physics, Anders started working with Access in 2008 and hasn’t looked back since. Anders has made applications ranging from Requirement Tools to financial depreciations, and has been an Access MVP for 4 years. On his blog www.TheSmileyCoder.com you can find several code samples for treeviews, change tracking, and error/crash reporting. Tim is a former member of the Microsoft Access team. In 2007 he left Microsoft to focus on his childhood passion. Today, Tim and more than 100 of his employees get to make their living from the trading card industry. COMC.com makes it safe and easy for collectors to enjoy their hobby without the hassle. Karl is an Access developer and MVP. Considering GDPR a friendly beast and business opportunity he withdrew all his money from the bank to pay a course, a ton of books and an exam to become a certified data protection officer. Since then he has presented on GDPR and has helped clients in Austria and Germany to adapt their database applications and other parts of their administration to the new requirements. How to choose between custom and packaged software. “I’ll sleep when I’m dead!” “I’ll pull an all-nighter!” There are many examples in our culture about the need for sleep being a weakness, and something to be resisted. We often admire people that operate with little sleep, and consider people that get enough sleep “lazy”. But recent science is revealing the real reasons why we sleep, and the physical and mental benefits that good sleep provides. Armen will review the latest findings and show you how getting enough sleep will enhance your health and work. Access/VBA applications have a tainted reputation in the general developer community: poorly designed, badly structured, hard to maintain, suffering from low code quality. Sure, VBA and the VBE have hardly been updated for 20 years and Access limits application design options. What should Access/VBA developers know and adopt despite or because of their outdated toolset to build quality software? • Why use ADO from Access to connect to SQL Server/SQL Azure? Kevin started working professionally with Access in version 1.0 and has been working with SQL Server since version 4.21. For 15 years he ran a small consulting firm in Colorado that specialized in creating custom data driven applications on Access and SQL Server. In 2008 Kevin joined the Microsoft Access Team as a test engineer, working on the Access 2010, 2013 and 2016 releases. Kevin is now helping companies migrate their Access backends to the cloud. In his free time Kevin enjoys traveling the world searching for the perfect pint of ale. There are built-in features in Access that have been clumsy for ages and some urgently needed for common tasks are completely missing. They never existed or were deprecated. In addition some tools/tool authors have disappeared over the years. Therefore Ynte Jan presents a variety of tools which fill existing gaps and thus can make our lifes easier. Selection criteria: handy, up-to-date, not commonly known, affordable. Since the 80s Ynte Jan has worked as developer and trainer. He's extremely solution-oriented and chooses his tools accordingly, be it Visual Studio, Access, SQL Server, Power BI or not from MS. 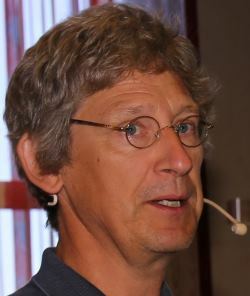 He has conducted many trainings and presentations in the Netherlands, Germany and Austria. Not least very often at our German conferences AEK and SNEK.